This treadmill has been discontinued. The Bowflex TreadClimber TC5000 offers a unique design, state-of-the-art features and functions, but may be too much for its price. Costing $2500, the TC5000 machine is designed with limited application. Yes, it provides great workout results, plus it’s supposed to be a combination of a treadmill, elliptical trainer, and a stair climber, but its design is simply not perfect for advanced workout sessions. In terms of length, the machine is quite shorter than a treadmill which supports limited movement. In terms of features, on the other hand, it is not as powerful as an elliptical trainer. If you are willing to spend thousands of bucks for a three-in-one exercising machine that doesn’t provide any extraordinary results, then go ahead with the Treadclimber TC5000. Otherwise, you may want to go for a cheaper unit that provides the same result, like high-quality treadmills. The Bowflex TreadClimber TC5000 is designed with some pretty cool dashboard features, including the Climb Indicator, the Quick Start, and the LED readout window. The Climb Indicator helps you monitor your elevation, usually tracking every hundred feet of your workout. The Quick Start, on the other hand, allows you save your previous settings and remembers them the next time you start the machine. Finally, the LED window displays various stats and measures that will help you keep track of your work out, including distance, speed, time, total steps, total calories, calories per minute, heart rate, and climb indicator. Designed with two independent belts for each foot, known as dual treadles, the TC5000 provides flexibility and advanced leg work out. However, take note that this design may not last long and could provide bothersome sounds and inconvenience. The above-mentioned features do not completely make the machine a real stand-out. The TreadClimber TC5000 lacks superiority in terms of features and design as they are believed to have been designed with poor workmanship. And although the TC5000 is backed by Bowflex 100% Satisfaction Guarantee, it only covers you for a maximum of six weeks. Because these machines are known to break down eventually, your limited warranty may no longer cover it when something happens, like when something goes wrong with the treadles, the motor, or the LCD display. While all exercising machines are expected to lose its function eventually, treadclimbers are most likely to wear out long before treadmills and elliptical trainers do. Take this into mind when buying one. The expensive cost of the Bowflex TreadClimber TC5000 makes it really unappealing to customers. You could understand the price if the machine is well-designed and fully equipped with winning features that guarantee you a powerful workout. But it’s not like that with the TC5000. Its high cost even comes with low-quality parts and components, noisy workout, and limited warranty. For what it’s worth, it’s not a trouble-free exercising machine. If you really want to try the Bowflex TreadClimber TC5000 and experience how to work out using this machine, you would be better off buying the Bowflex Treadclimber TC1000. It is the cheapest treadclimber from Bowflex and provides better value than this model. 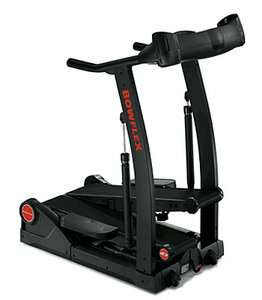 If you plan on buying a Bowflex TreadClimber TC5000, I suggest you buy from Treadclimber.com. They usually have this for just $2,499.